The legal marijuana industry is perhaps the most exciting business in America right now. Recent legalization efforts, medical traction and a vibrant cannabis culture have helped to stimulate a growing marijuana job sector. While jobs working in cannabis dispensaries as budtenders and receptionists are widely pursued, there are a number of hot, new job possibilities cropping up for cannabis lovers of all backgrounds. Just imagine. Creative stoners growing up before widespread legalization surely dreamt that one day there’d be a job that combined cannabis and journalistic criticism. 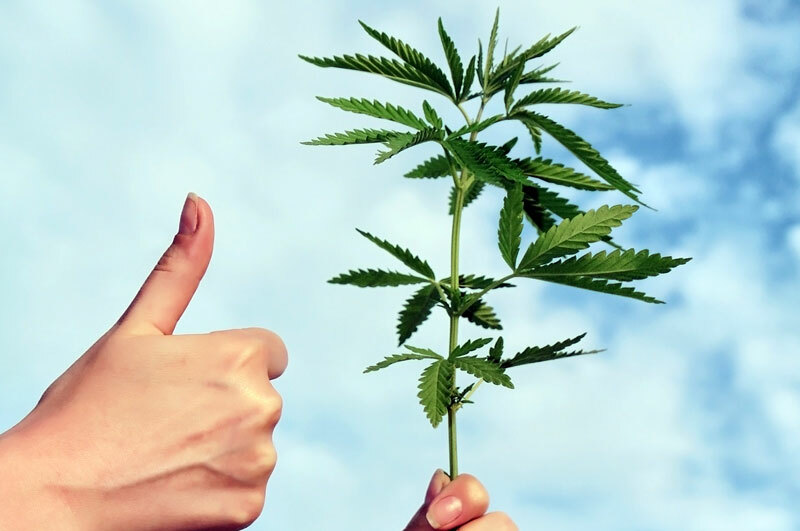 In today’s ever-developing marijuana market, no aspiration is too far fetched. Compensated strain reviewer gigs are few and far between, but more cannabis-centric publications are joining the bandwagon with staff writers who offer their commentary on cannabis strains and products, such as concentrates, edibles and paraphernalia. In 2014, the Denver Post’s ancillary cannabis publication, The Cannabist, set out to hire what is often regarded as the “first” legitimate strain reviewer. Shortly after, the Oregonian put out an ad of their own for a strain critic. While these “kush” jobs do come with a payout, rarely are the wages enough to support a full time career. Niche publications like High Times and Culture, among other cannabis magazines, consistently include strain and product reviews in their frequently updated content, leading a movement to employ more cannabis writers. Since competition for strain reviewer jobs is especially fierce, cannabis writers are having to explore a variety of avenues for getting their work noticed. Primarily, writers are tasked with developing their own blogs, in hopes that their work will eventually get noticed and their career will gain traction. As positions for strain reviewers open up, it helps to have a portfolio with existing samples on standby. Do you have a face that can launch a thousand bong rips? The advent of social media has facilitated a money-making relationship between models and cannabis, allowing for Instagram spokespeople and sensual cannabis models to make full time careers out of smoking and looking damn good doing it. Spokesmodels for specific brands can receive high payouts, as they are integral in brand recognition and exposure. Some models are sponsored by several companies, allowing for them to advertise for different brands and make money from each. Like most modeling careers, there is no one path that leads to industry success; however it doesn’t hurt to have previous modeling experience and an apparent love of cannabis. Unfortunately, the cannabusiness is still dominated by men, which can be a big red flag for some models, as the marijuana industry has an extensive history of unaccounted cases of sexual harassment and assault. Weed modelling can absolutely be a legitimate avenue for making some cash and scoring some bud, but make sure to be careful when looking for gigs! Bon Appetit! Now pass the brownies…Marijuana edibles have a long cultural history as the snack that knocks you back. Historically appearing in the form of brownies, cookies and firecrackers, (if you’re impatient like me) edibles have come a long way from the basement kitchen. Marijuana edibles chefs are responsible for creating tasty products that range from cannabis cold brew and ice cream to pot potato chips and pasta. Virtually any food product you can imagine is perfectly poised to accept cannabis into its recipe. This position, though exciting, requires a deft hand — chefs must be able to infuse edibles with cannabutter or cannabis concentrates, in order to get a finished product. It’s not enough to throw an ⅛ oz. of weed into some brownie batter. The cannabis needs to first be decarboxylated by heating and cooking it in oil and butter, or by using solvents like Butane at CO2 to extract cannabis concentrates that can then be added to a recipe. Becoming an edibles chef is not as easy as it might seem. This job requires an experienced chef with professional or commercial kitchen experience and possibly even a culinary school degree. As the demand for cannabis products in the legal market surges, a trend towards cannabis concentrates as a desired method of consuming cannabis is becoming increasingly noticeable. The process of extracting concentrates from cannabis flower and trim is a hot and dangerous one. Technicians use solvents to separate the cannabinoids like THC and CBD from plant matter, resulting in waxes, oils, shatters, crumbles and other forms of “dabs.” In comparison to flower, cannabis concentrates maintain high levels of THC and have an important stake in the medical marijuana community. This is due to the more sustained, intense effects that concentrates provide in just one or two “servings,” versus flower. Cannabis extraction techs are some of the most highly compensated employees in the cannabusiness, as it is a highly skilled job that requires extensive credentials for hire. The extraction process is carried out in a laboratory setting with extreme heat and fire precautions. These employees often have advanced degrees in chemistry and a proven history working with cannabis in a scientific setting. There have been way too many stories of “home jobs” where novices have died or at least burned their houses down from extraction experiments gone wrong. Let me be clear: DO NOT TRY THIS AT HOME. Not once, not ever. If you are really interested in pursuing this career path, considering investing in a formal scientific education. The novelty of the newly legal cannabis industry, alongside increasing demand for marijuana products has stimulated the tourism economy for marijuana hotspots around the country. Seattle, Washington, Portland, Oregon and especially Denver, Colorado have experienced major growth due to cannabis tourism. Companies like Kush Tourism offer travelers a variety of tour packages that cover everything from marijuana grow operations, concentrate extraction labs and edibles production kitchens. Tour guides have a unique job that requires them to have a knowledge of cannabis products and legislation and be comfortable speaking in front of a group. Luckily, being a cannabis tour guide requires far fewer educational credentials than being an edibles chef or extraction technician. For the most part, tour guides must be able to demonstrate that they can follow a schedule and keep a happy tour group in tow. Guides must think on their feet and be able to address questions and issues confidently as they come up. It definitely helps to have some tour guide experience, but it likely won’t make or break your chances of scoring a cannabis tourism job. Having personally worked as a tour guide, I find that employers are looking for a unique personality that gets people excited about the tour. By no means do the jobs listed above account for all the hot, new jobs in the cannabusiness. On the contrary, there are so many niche and associated legal marijuana jobs out there, it would take an article five times this length to even begin to cover them all. My aim is to provide you with a diverse sampling of what’s out there and what it will take to be a part of it. Now, the burden falls to you — explore jobs, do research and talk to professionals in the industry. The cannabusiness is your oyster!